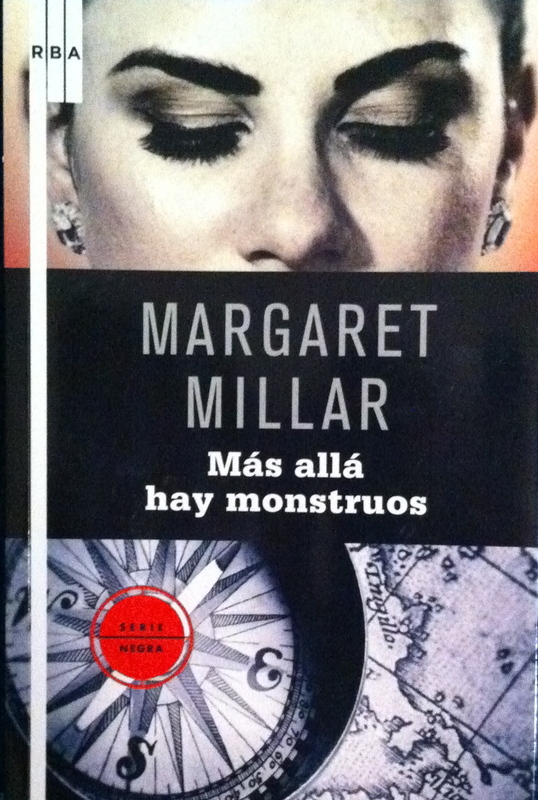 "No hay acuerdo acerca de quién merece ser considerada la Primera Dama del crimen: hay quien apunta a Agatha Christie, hay quien reivindica a Elisabeth Sanxay-Holding y hay quien, como yo, le otorga el título a la olvidada Margaret Millar"
" – He pensado decorar el dormitorio de delante igual que Robert había hecho con su cuarto en el rancho, con el tipo de cosas que les gustan a los chicos..., los banderines del colegio en las paredes, sus pósteres de esquí acuático y los mapas, por supuesto. ¿Robert nunca te enseñó sus mapas antiguos? _ Mi hermana se los mandó una vez por su cumpleaños. Eran copias enmarcadas de mapas medievales que representaban el mundo como entonces se suponía que era, plano y rodeado de agua. En uno avisaba que las zonas más alejadas eran desconocidas e inhabitables, debido al calor del sol. En otro ponía simplemente: " A partir de aquí, hay monstruos". A Robert le gustó la frase; hizo un letrero y lo puso en la puerta de su dormitorio; a partir de aquí, hay monstruos. A Dulzura le aterraba el cartel y no quería ni acercarse: creía en los monstruos y es probable que los siga haciendo. Si no me quedaba en la puerta para protegerla, si llegaba el caso, se negaba a limpiar la habitación de Robert. Dulzura tiene suerte. Todos tenemos monstruos, pero hemos de darles otro nombre o hacer como si no existieran...La Tierra en los mapas de Robert era hermosa, plana y sencilla. Había un mundo para las personas y un submundo para los monstruos. Es duro descubrir que el planeta es redondo, que ambos mundos se superponen y que no hay nada que nos separe de los monstruos; que todos estamos girando juntos en el espacio y que ni siquiera existe una manera inteligente de segregarnos. El conocimiento puede llegar a ser algo tremendo." "A WOMAN CALLED EN is beautifully written in the formal classical style of seventeenth-century Japan by a major modern Japanese novelist. When EN TU IU ONNA (A Woman called En) was first published in 1960 it won two major literary awards, among them the Noma Literary Prize. Set in seventeenth-century Japan, A WOMAN CALLED EN tells the moving and dramatic story of a young girl´s confinement. En was confined with her family at the age of four when her father lost political power. She was finally released forty years later after her brothers had died and she and her sisters were too old to bear children. The author´s considerable knowledge of Japanese history, of classical poetry and Chinese literature is reflected in her writing. 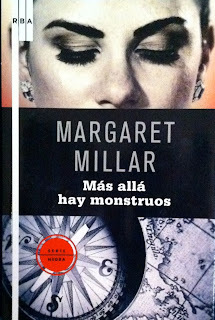 Because she assumes the reader´s awareness of such things, we felt a need and found pleasure in researching them for ourselves. We delved into the politics and the economy of the Edo Period, into education and into medieval Neo-Confucianist philosophy, and we looked at the structure of traditional Japanese poetry. Yet we found that very little had been written about the lives and status of women in the seventeenth century. It is therefore all the more remarkable that Tomie Ohara has created such a full and solid characterization of En. She came alive for us and although we re-read and re-translated many times, we remained moved by her predicament." A messenger from the Ando family came today, bearing our pardon from the clan government. After he had gone, we all wept together, my nurse, my elder and younger sister and I, with mother in the middle. "Why must I cry? I don´t feel like crying." Yet despite these thoughts, the tears were flowing freely. Although we were all weeping and clinging to each other in this manner ( mother was eighty, nurse sixty-five, my sister and I over forty) the tears held a different emotion for me. "How wonderful, congratulations," we were saying to each other as we wept, but although I too congratulated my dear mother, it did not accord with my feelings. Since our youngest brother Teishiro had died on 29 June, ten weeks ago, everyone had been eagerly anticipating this day. I, more than others, was especially looking forward to it with a full heart, believing that after death a pardon would be granted. Teishiro´s illness had worsened, and he himself knew that we could not expect him to recover. "When I die, they will pardon you, dear sisters. That seems the best thing I can do for you all", he said. "What are you saying?" I remonstrated. "What would the pardon mean to us after all this time? We have all grown old here, mother, sisters and I. Any change would bring misfortune. We shall be happy if we can live as we are; for like this, nothing changes, nothing happens. We should all be alive together. You must get better and live for us. That will make us happy." I really believed so. "I shall remain in this house where we have lived under arrest for forty years, " I thought. "When I am fifty, and sixty, I shall still live here. And even when I am seventy years old, and when I reach eighty like mother, I shall continue living here." Yet in the midst of relief and amusement I was aware of the bitter irony against myself. "Nonaka En, detained at the age of four, put herself here for ninety years." If I were permitted to inscribe on my own tombstone. I would wish it to be written thus, not as "lived here", but "put herself here", because I had not really lived."